Welcome to the world of the unexpected! 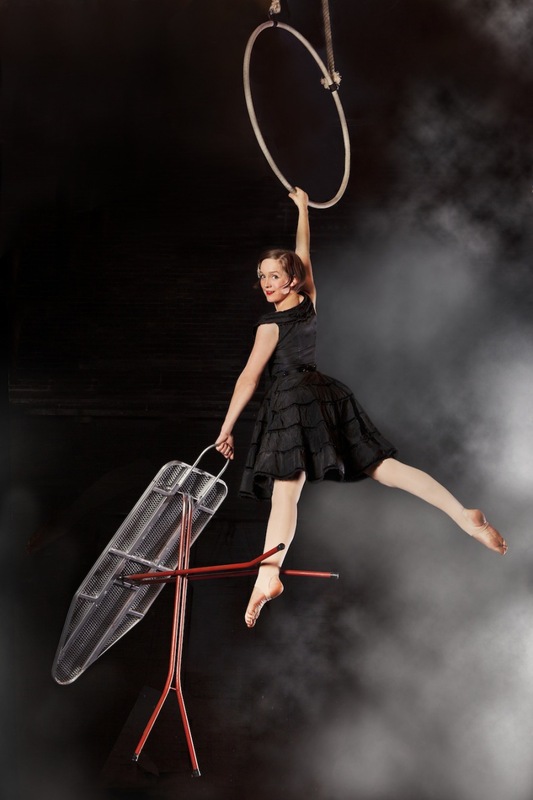 A stunning troupe of 10 masterful acrobats, aerialists, musicians and daredevil stuntmen are staging a dazzling show for you. The problem is that no-one is prepared and disagreements and disasters threaten to wreck the spectacle. 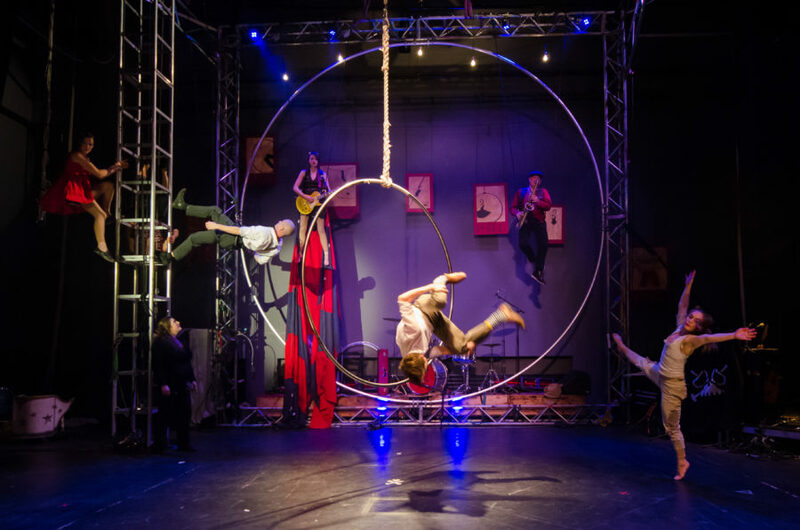 Irreverent and silly, bold and breathtaking, Flown is a captivating show packed with thrills, laughs and extraordinary feats all set to a live soundtrack. Winner of a Total Theatre Award Edinburgh 2013 for Physical/Visual Theatre. 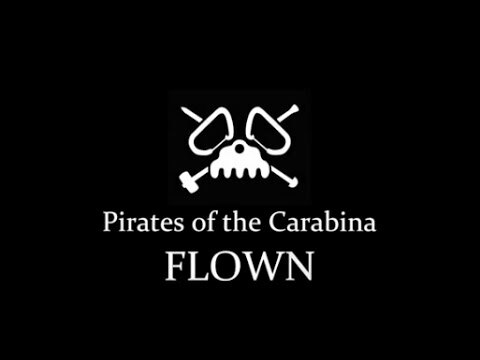 Pirates of the Carabina (POC) specialises in theatrical, highly technical circus shows combined with live music. A group of 10 experienced artists, they have created a platform for developing their own ideas, bringing to the stage the qualities that best express their essence. POC was formed organically out of a one-off commissioned performance of Flown for Glastonbury Festival in 2011. 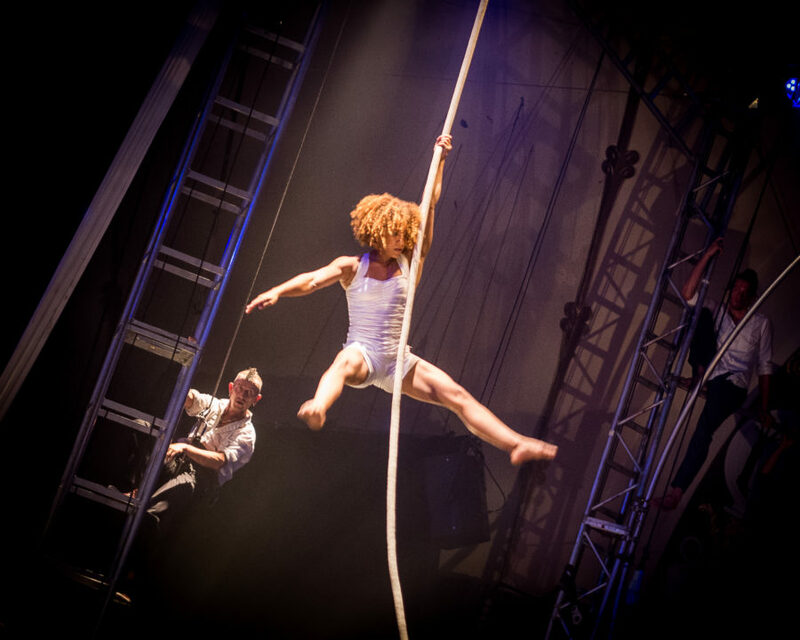 As a result of Flown‘s success, the Glastonbury Arts Commission has become an established award, offering a platform for new circus companies. 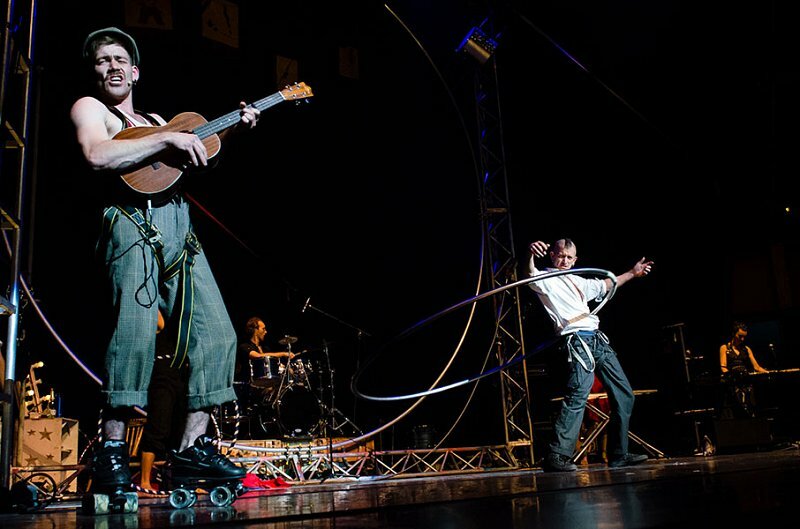 During 2013-2014 Flown toured to venues across the UK, performing over 80 shows to more than 26,000 people. 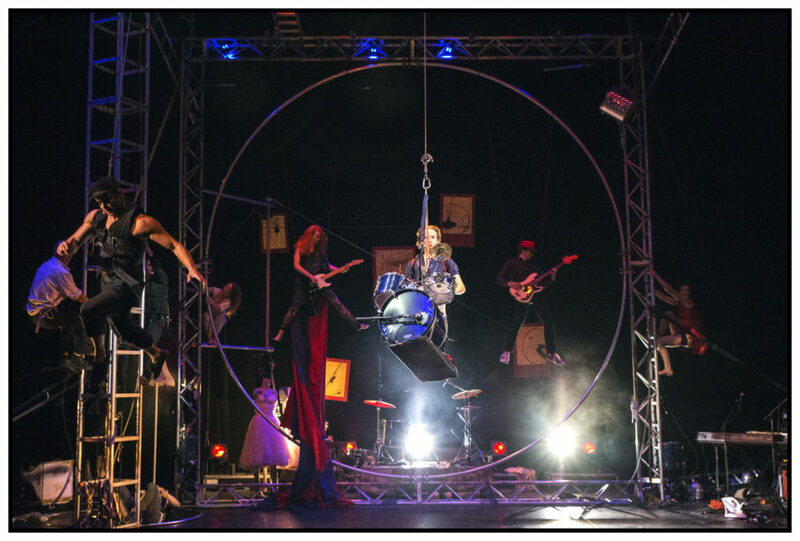 It has been performed to capacity crowds at Glastonbury Festival, Bristol Circus Festival and the Edinburgh Fringe where the Company won the Total Theatre Award for best Physical/Visual Theatre show.